BANGKOK: Police have detained a Russian national believed to be the No.2 organiser of a transnational gang operating a black market and theft operation known as the Infraud international theft ring. The FBI claims Sergey Sergeyvich Medvedev (inset), a Bangkok resident for six years and detained at his condo last Friday, is the No.2 organiser of the Infraud group, whose dark-web site’s motto is ‘In Fraud We Trust’. 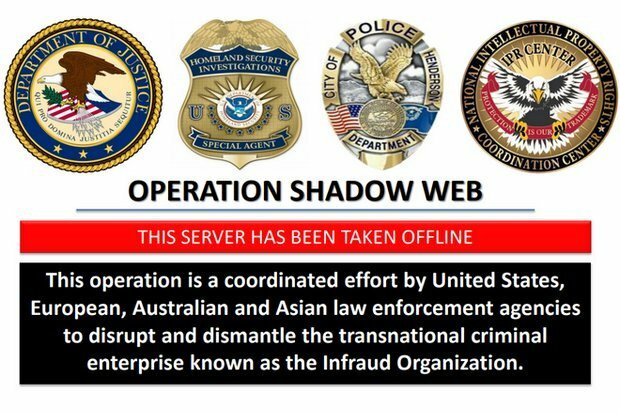 The dark-web site dubbed Infraud, from the gang’s motto “In Fraud We Trust” was seized and closed down on Tuesday (Feb 6) by US authorities. Sergey Sergeyvich Medvedev, who fled to Thailand six years ago, was nabbed last Friday (Feb 2), a source revealed yesterday. In response to the US Federal Bureau of Investigation’s request for cooperation, the Crime Suppression Division (CSD) conducted an investigation and found Medvedev, 31, was in Bangkok, the source said. 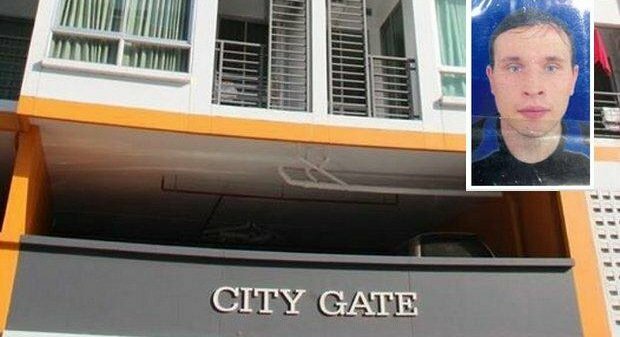 A team of 30 CSD officers last Friday raided an apartment at the City Gate building in the Sukhumvit area and detained him, the source said. CSD police seized a notebook computer and several documents from the apartment, the source said. CSD investigators found the Russian suspect was trading illegal products online using the Bitcoin currency, said the source. He added that, judging by the the evidence obtained during the Feb 2 raid, he had more than 100,000 Bitcoin, equivalent to nearly B100 million. Over the past six years, Medvedev had left and re-entered Thailand several times and had lived with his Thai wife over the past year, the source said. Central Investigation Bureau (CIB) chief Thitiraj Nhongharnpitak confirmed the raid occurred. He declined to provide further details about the operation, saying it was an international police matter and more details would be forthcoming. According to the source, the FBI and Italian police on Tuesday seized a computer server owned by the gang in Italy but no suspect was arrested in the operation. The US Justice Department announced indictments Wednesday for 36 people – not including Medvedev – accused of running a transnational ring stealing and selling credit card and personal identity data, causing US$530 million (B16.877 billion) in losses. Created in Ukraine in 2010 by Svyatoslav Bondarenko, Infraud was a key hub for card fraud. The US claimed that Medvedev was a co-founder of the site, and No.2 it its hierarchy. It was “the premier one-stop shop for cybercriminals worldwide”, said Deputy Assistant Attorney General David Rybicki. The main Infraud site on the dark web was seized by US authorities on Tuesday. The senior administrators – allegedly including Medvedev – continuously screened the products and services of vendors “to ensure quality products”, said the indictment. The FBI will call a press conference in the US about Tuesday’s operation, said the source, adding the FBI is expanding the investigation into the matter in several more countries. The detained Russian suspect wasn’t in the CSD’s custody and it remained unconfirmed whether he was being detained by the Immigration Bureau or the Special Branch Bureau, the source said. On Tuesday, similar crackdowns on the criminal network were believed to have been carried out in 15 countries, aiming to detain 18 more suspects wanted by the FBI that had been pursuing the gang since 2014. The bureau had previously detained 32 suspects involved with the network and expanded their probe, the source said. Red in Bangkok Post today that another 5 police colonels were transferred to 'Inactive Heaven'. So, we should start to clearance first the police force from the top, the Generals, Colonels and so on down the steps. When whole police force has a 'reform clearance' than we start with 'us'. How about that? Good idea?